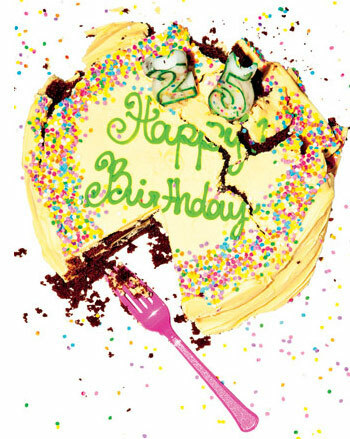 … my quarter life crisis is over! Truth be told, it’s probably been over for a solid six months, but I just wasn’t ready to believe it. I just kept thinking that those feelings of overwhelming inadequacy would continue to resurface. The ending of my QLC was further confirmed by this article in Self Magazine! In the middle of your own QLC or gotton through one? Read it! Speaking of Self Magazine, I am totally obsessed with their new look and feel. 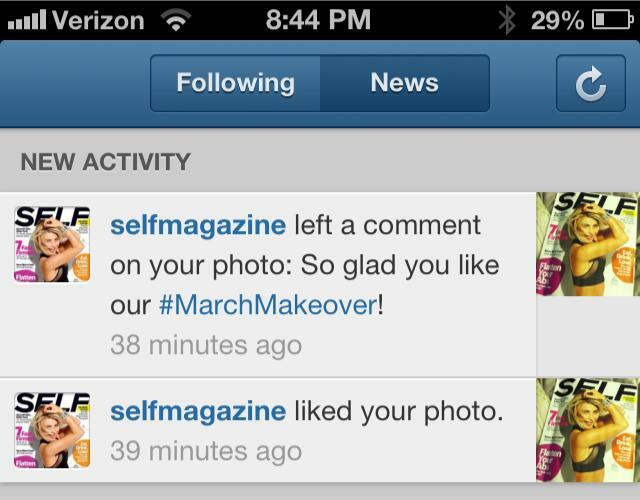 So obsessed that I Instagramed about it and to my complete shock, the magazine commented! I squealed with joy and of course had to tell everyone I know. That brings me to my own makeover! I know what you are thinking, didn’t OWIOWI just get a new look not too long ago? Yes, it did, but I need a full overhaul. I started Oh Wells Instead Of What Ifs when my life was in dire need of inspiration. However recently I have been inspired to make some major changes. That said, content is going to be a little light while I revamp and reboot over the next week or so! Thanks so much to everyone who has been a part of this blogging experience so far! Make sure you are following me on Twitter, Instagram or Facebook where I will be doing some sneak peaks and giveaways just for my followers! I can’t wait to see you all on the other side of this makeover! Almost as great as a Tax Refund! OMG! I was just reading that article last night. Completely where I am at right now…and I want it to go away! Haha.